Today, Dwayne and Tamara proudly continue the fourth generation of Grimes Interiors in McKees Rocks, PA, just minutes from Downtown Pittsburgh. 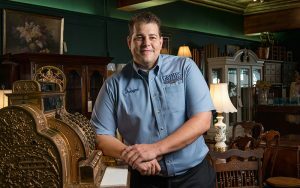 Dwayne D. Grimes began learning the business with his father, John P. Grimes, and his mother, Doreen Grimes, at the young age of 8. Little did he realize that he’d entered The Grimes School 101. Surrounded by craftsmen and skilled entrepreneurs, his father and mother always asked him for a hand in the business. Dwayne showed a lot of interest and had a natural knack for the skilled work. After his family education, Dwayne graduated from Robert Morris University. Tamara L. Grimes was hired in 1993 by John and Doreen to work as an Interior Designer and Furniture Sales Consultant. Tamara learned the functions of each shop: wood, repair, finish, and upholstery. 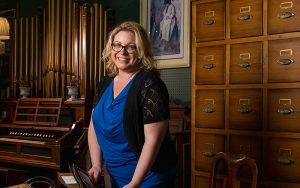 She worked with customers on the showroom floor and visited them in their homes, offering upholstery design advice and restoration solutions for their furniture.